JAPONESQUE Professional Parian Spirit Brush Cleaner gently cleans, conditions and disinfects fine brush hair. This brush cleaner is environmentally safe and dissolves all types of makeup products including powder, liquids, wax based and adhesive. brush and lay flat to air dry completely. Do not dry with brush hairs in the upright position. Deep Cleansing/Disinfecting Directions: Pour just enough JAPONESQUE Professional Parian Spirit Brush Cleaner into a container to cover bristles of brush. Swirl brush until clean. Dry with paper towel or terry cloth. Size, type of bristle and humidity affects drying time. 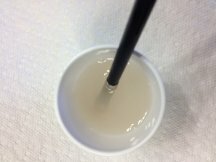 Make sure brush is completely dry before re-using. For disinfecting, leave brush in JAPONESQUE Professional Parian Spirit Brush Cleaner for 1 minute. On larger brushes, use JAPONESQUE Professional Parian Spirit Brush Cleaner spray for faster drying time. 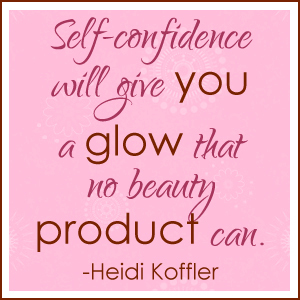 Makeup brushes are expensive, but necessary to apply cosmetics properly. 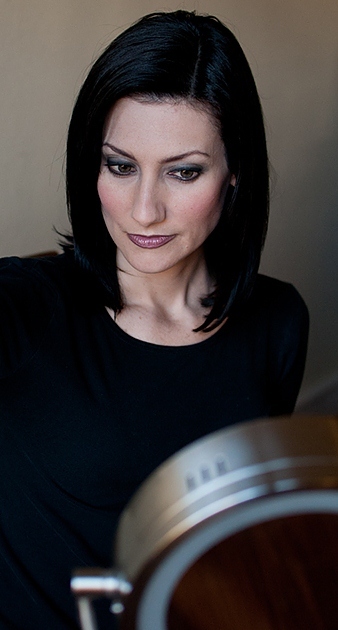 The right brush can make all the difference in how your makeup looks. 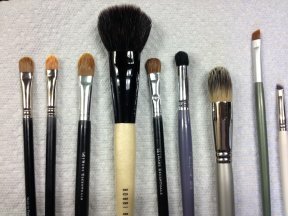 I do not mind investing in expensive brushes because with the appropriate care brushes can last for years. In fact, I have owned most of my makeup brushes for many years and they still look like new because I keep them clean and conditioned with JAPONESQUE Professional Parian Spirit Brush Cleaner. This product comes in a two sizes – a 40z spray or a 16oz bottle that you can pour into a container. 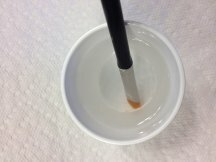 I use the larger size because it is more cost effective, and I prefer to actually place my brushes in the solution to thoroughly disinfect and clean them. I even put my larger brushes in JAPONESQUE Professional Brush Cleaner rather than spraying them with it. This method takes longer for them to dry, but I feel like it makes them last longer and keeps them cleaner. My small brushes usually dry overnight and are ready for use the next morning. 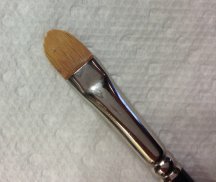 Larger brushes can take up to two days to completely dry, but the results are worth it to me. Experts will tell you to clean your brushes daily with a spray after every use, but who has that kind of time? I usually clean mine once a month. Pretty Proof gives JAPONESQUE Professional Parian Spirit Brush Cleaner a 5 out of 5 crown rating because this product works exactly as it claims. I recommend it for anyone who wants to keep their makeup brushes clean and looking like new. Just wanted to mention that Parian Spirit no longer makes the Japonesque brush cleaner. So if you want the quality product that the professionals use, go to parianspirit.com to find the closest retailer to you. I just want to mention I am all new to blogging and site-building and seriously liked your page. Likely Iâ€™m going to bookmark your blog post . You absolutely come with awesome well written articles. Thank you for sharing your web-site. I definitely agree about how helpful just mulling over class discussions can be. It’s been the most enlightening part of this class, in my opinion. I always leave thinking! Also, I always enjoy reading your blog entries. You pull things from the readings just because of how they impact you emotionally or mentally, rather than worrying about critically picking apart the text. It’s refreshing! Keep it up darlin’.Oh! And I don’t know if it’s just because I’m using an iPad, but I can’t click your links to your other pages. Totalmente de acuerdo Emilio:Yo me ofrezco para gestionar estos activos. Ãšnicamente con que llegue alguien cuyo Ãºnico objetivo sea forrarse a costa de la gestiÃ³n y la especulaciÃ³n de activos tratÃ¡ndolos como tales en lugar de lo que realmente son: elementos fÃ­sicos e ubicables en espacio y tiempo reales.